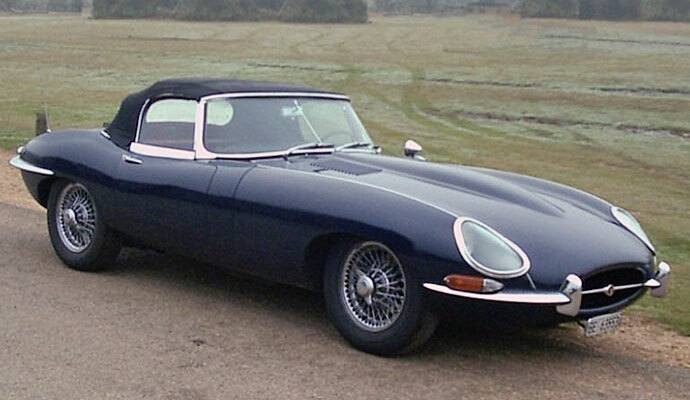 When the E Type Jaguar was launched in March 1961 at the Geneva Motor show it attracted the attention of the whole world like no other car ever had ever done before. With its stunning sleek bodywork, ground breaking performance & impressive handling it astonished all. Could a car like this really be available for nearly half the price of Aston Martins DB4? Jaguar's founder William Lyons, had with his designer & aerodynamicist Malcom Sayer, and engineering director William Heynes, created what was to become the greatest motoring legend of all time. At a UK price of £2098 including Purchase Tax for the Roadster, or the Fixed Head at £2197, you really did get something very special for the money. This two-seater sports car was fitted with the 3.8 litre version of the well proven 6 cylinder double overhead camshaft XK engine, and drove through a four speed manual Moss gearbox. Suspension was independent all round. The rear suspension, which featured twin coil spring and damper units either side was, along with the differential and inboard rear brake assemblies, mounted in a cradle that was attached to the cars shell via insulated rubber bushes and stabilised by sturdy radius arms. This sub assembly was later used on nearly all of Jaguars cars for many years to come. Inside the car you would find leather seats and fully comprehensive instrumentation that was beautifully laid out on the sports black and aluminium dashboard. This was complimented by a wood rim sports steering wheel to turn Jaguars responsive rack & pinion steering. 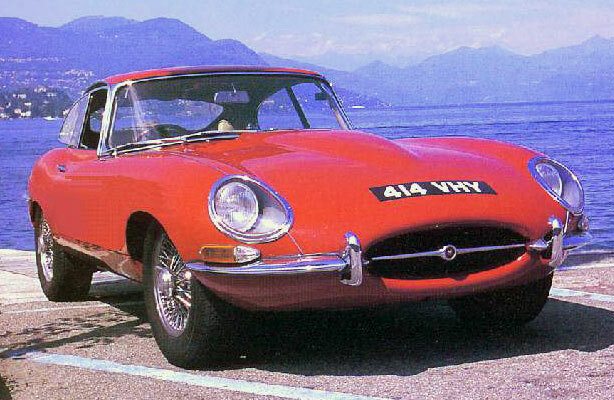 The first road tests further helped to promote the E Type's virtues, with a top speed of 153mph being attained along with standing quarter mile and 0 - 60mph times of 15 seconds & 6.7 seconds respectively. 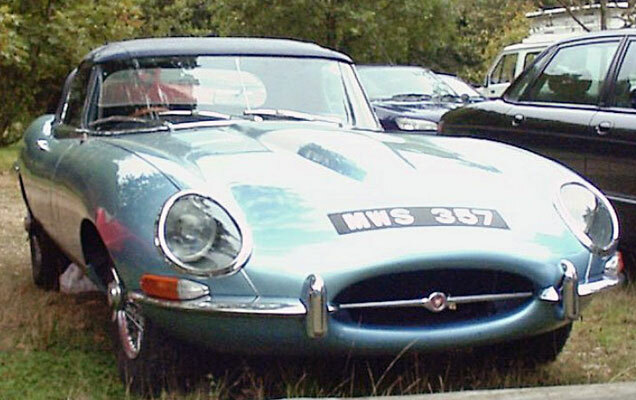 The E type maintained Jaguars very respectable reputation in motor sport and as manufacturer of quality performance cars. 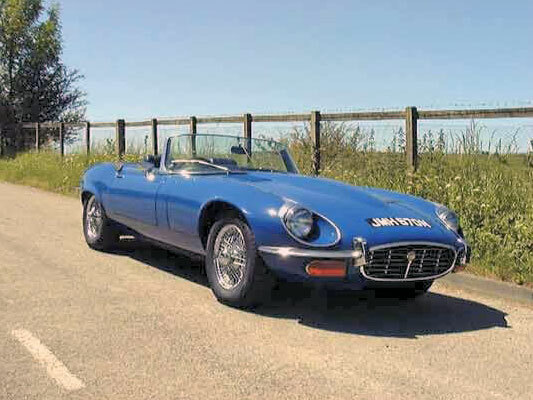 Changes to the E type were made in 1964 which included the fitting of the larger 4.2 litre XK engine, an all synchromesh gearbox, improved headlamps, and an alternator. There were also some minor internal trim changes. 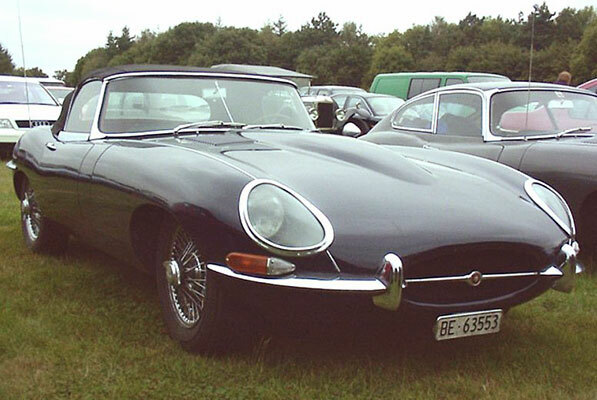 In 1966 a new E Type model became available - this was the 2+2 coupe which had an extended wheelbase to allow occasional seating for 2 rear passengers. Automatic transmission became an option on this car, as due to the shorter wheelbase of the other cars it had not previously been viable to fit it. The next major change was in October 1968 when the Series 2 version of all three models arrived. These models were fitted with wrap around front and rear bumpers, and featured larger indicator and brake lights. The front headlamps were reprofiled and lost their cowling, and the front windscreen angle was increased giving it a more upright appearance. The interior received reprofiled switchgear and door handles. 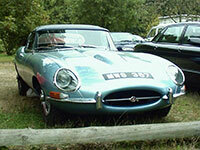 An energy absorbing steering column was fitted and power steering was available as an option. 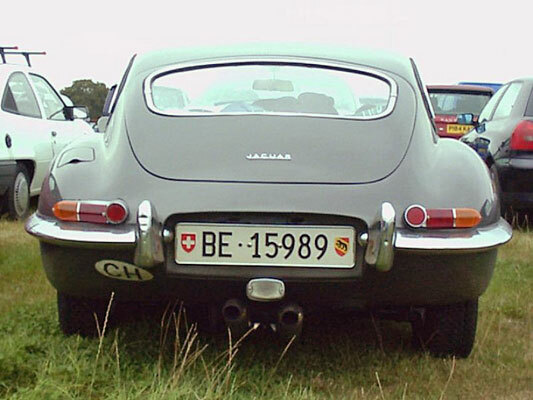 The last Incarnation of the E Type, The series 3 V12, was introduced in 1971 and this used the longer wheelbase 2+2 bodywork. It was available as 2+2 fixed Head Coupe or as a Roadster. The most noticeable external differences to the car were the addition of a chrome grille, a cooling scoop below that in the front valance, and flared wheelarches. The rear of the car sported a cluster of four chromed exhaust pipes in the centre of the car. Mechanically the most obvious change was of course the 5.3 litre V12 engine which could be coupled to either manual or automatic transmission, and power steering now came as standard equipment. 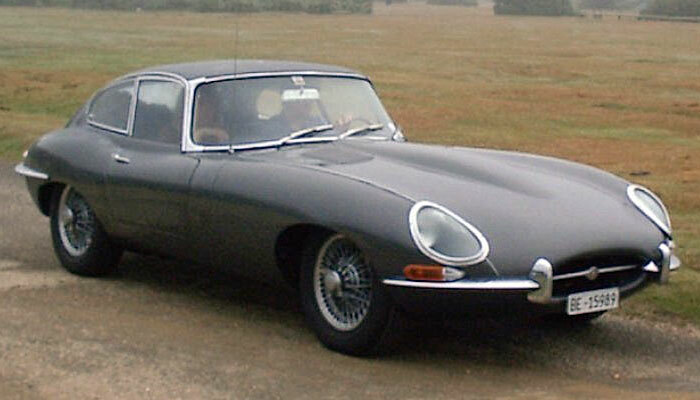 The last 50 E types to roll of the production line in February 1975 were all painted black and carried commemorative plaques signed by Sir William Lyons. The E Type had become a legend in its own lifetime and today of course the E Type is coveted throughout the world and it is widely recognised as the most memorable car of the last century.